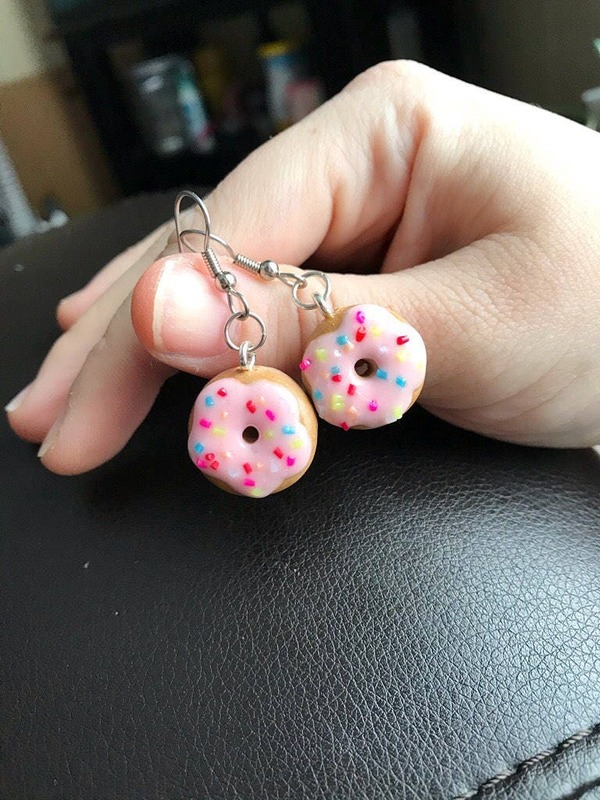 These donuts are made of polymer clay! They are hand shaped, “glazed”, & sprinkled! They are mailed in a jewelry box, tissue paper, & pink poly-mailer.